Outgoing Economic Affairs Minister Olli Rehn says government will extend an additional 100 million-euro lifeline to the troubled Sotkamo mine formerly operated by bankrupt parent company Talvivaara and now run by the state-owned Terrafame. The mining outfit will also be allowed more time to wrap up negotiations to secure private investment. Government will propose an additional cash injection of 100 million euros to help maintain the Sotkamo mining operation purchased by the specially-established state-owned company Terrafame. According to Economic Affairs Minister Olli Rehn the mine’s prospects have improved, given what he called its remarkable development in environmental safety. The minister said Friday that there had also been a marked reduction in the uncertainty attached to its operations. "A necessary prerequisite is to get the environmental matters under control," Rehn said of the government’s decision to grant the mine additional time – and money - to get its affairs in order. Rehn disclosed that the government had spent less than budgeted on getting the operation back up on its feet following bankruptcy proceedings. Government set up the state-owned firm Terrafame exclusively to purchase and run the mine in August last year. Since that time it has handed over hundreds of millions of euros to keep it on its feet. Government’s finance policy committee endorsed a proposal to grant an additional 2017 budget appropriation of 100 million euros in additional capital to Terrafame. At the same time, ministers agreed to let negotiations to secure private financing for the mining operation to extend into 2017 if needed. 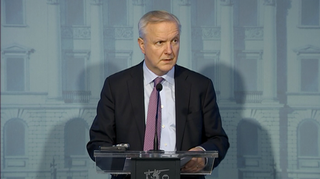 However Rehn remained mum when asked about possible external financiers. "Negotiations are ongoing, but I don’t want to complicate the negotiation situation by mentioning possible names at this stage," Rehn noted. The minister said that government’s goal is still to ensure continuing funding for the mine by the end of this year. "In recent times the development of Terrafame Ltd has been positive and because of that we want to demonstrate faith in the company and improve its chances of a favourable negotiating outcome from the perspective of the state owner, the company and its employees, so we decided on an additional capital input of 100 million euros." "During the course of next year we will evaluate the development of the situation, above all in light of how these financing negotiations progress, and how the company’s income and profits evolve," Rehn said at a press conference. Government had previously promised that it would only provide financial support until the end of 2016 for the loss-making operation, which also has a history of environmental infractions. "The additional funding is very significant for us and gives us the opportunity to engage in these negotiations," said Terrafame chairman Lauri Ratia. Earlier on Friday, Prime Minister Juha Sipilä said that the government’s primary goal was to try to secure external funding for the operation. "We are first and foremost trying to achieve the kind of resolution that would involve external financing and at this stage the state will also be involved with its own capital investment. 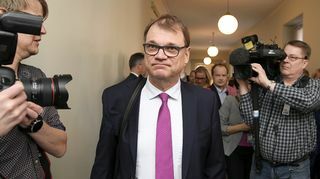 In any case for all options we need more money for the company, but our starting point is that in the long run, this is it for state funding," Sipilä remarked. The PM said that the mine’s operational basis is now a far cry from what it had been the last time government looked at the case. "Our starting point now is that allowing the company to continue operations is the primary option," he added.